Hey everyone still coming thanks so much, Im pretty lazy for updating on a daily basis but today i got up early to give a bit of post/love back at you! Note to self get a membership! This entry was posted in Cool Stuff, Local News and tagged mustard seed co-op on October 23, 2013 by admin. Hey everyone just a quick reminder Joey Coleman, aka the citizen journalist, is having a fundraiser. While the site is not political, Joey’s work is sadly needed as even our local news sources tend to neglect local news. This entry was posted in Cool Stuff, Local News, Politics and tagged hamilton indy journalism, Joey Coleman, Raise the Hammer on March 13, 2013 by admin. If you think having a casino within 45mins of two other casinos your insane, anyways on the mixed media blog Dave’s has a good statement about it. We’re well into January 2013 and many of us are back into a regular routine after a busy December holiday season. We are thankful and appreciative to all our customers who chose to shop locally in search of something unique and creative. Not only was our store busy, but many of our neighbours on James North saw an increase in pedestrian traffic as more and more people rediscover our historic stretch of storefronts. While Christmas was a top priority for many – the other big topic of conversation in the shop was whether or not we all should be worried that a Casino would locate in the downtown core. I was encouraged by the fact that everyone who we talked to felt the same way we did. That a casino in the downtown core will only harm the many positive developments that are taking place on James Street North and in downtown Hamilton. I still can’t believe we’re entering our 8th year in business. To think, when we opened in 2005 most of our friends and family thought we were nuts to locate on James Street North. We heard it all. That the “downtown was dead”, “no one shops downtown anymore” and “you’ll be lucky to last one year”. We’re proud to say that along with our hardworking friends and neighbours, we helped to change what was once an unloved and forgotten neighbourhood into a lively and exciting destination. What continues to happen on James North goes against decades of the same-old downtown large-scale renewal thinking. One has to just look at Jackson Square, Copps Coliseum and the Hamilton Convention Centre to see that that the guarantees of a renewed core through mega projects will never achieve the vitality or economics as promised. The idea of James North wasn’t brainstormed around a boardroom table or made possible by millions of dollars in civic grants and loans. The reason James North happened is that Hamiltonians wanted it to happen. Whether it is the thousands of people who frequent the monthly Art Crawl, the regular shoppers in search of a good coffee and unique finds or the Saturday night crowds enjoying live music at This Ain’t Hollywood and The Brain. The James North that is being written about in national media is what makes Hamilton special and different. Clearly we are being seen as something other the “armpit of Canada” and that is something we can all be proud of. For the first time in a long time, there is a buzz about the city that is loud and positive. A downtown casino does nothing to enhance that. It creates a blackhole of economic stagnation and creates short-term gains for the operators and long-term pains for the community that hosts it. This will hurt Hamilton. 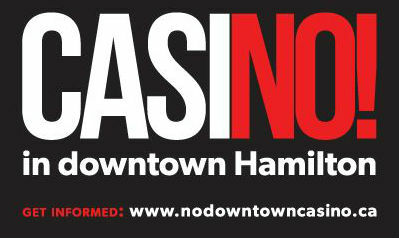 As life-long Hamiltonians and passionate supporters of this city, we ask you to say NO to a Downtown Hamilton casino! This entry was posted in Local News, Matt Jelly, Mixed Media Art Supplies, Politics and tagged art brings in more dollars, no hamilton casino, stupid on January 17, 2013 by admin. So hopefully this will be with a little effort be a semi-regular series of posts about awesome local businesses! Hours-6am-6pm Sundays 6am till 5pm,(last time i checked and usually open most holidays.) And Plenty of Parking/ Right across the street is a bus stop. Food is a mix of Lunch/Pastries and basic Italian/European groceries. (They have their own pasta sause as well) Lunch is a mix of subs, sandwiches, schnitzel, potatoes,etc. They also have pastries, buns, breads. I especially recommend their canoles! They also have espresso/lattes,etc. Other than that if your from the Hamilton/Burlington area I call it a upscale Dennigers, really good food at good prices! This entry was posted in Cool Stuff, Local News and tagged Canoles, good food, Hamilton Business, Italian Bakery, Italian food, Pane Del Sole on January 9, 2012 by admin. AGH Comes to James St North! “The gallery announced Thursday it is opening additional digs on James in the spring to house a second AGH store, and another exhibit, events or community room. (Also congrats to Tim Potocic for resisting the urge to fill his space with just another Money Mart its sadly rare when people with means resists the urge to go make money at any price.) My only concern for the AGH’s move is the potential to crush the local business/art institutions. Its interesting that the specatator’s main message of their article wasn’t about artists or institutions or even businesses it was about people living downtown? While I’m all for this I’m not for James turning into another Locke St. If the AGH was smarter it would have done a blue banana/ agh store in their making it a pusher of local talent, think the recent Honey Bee collective sale on a more perminant basis. Or even something like a visiting artist apartment space in the area. Just imagine if the AGH sponsored one or two international artists to live in Hamilton for a year to work? 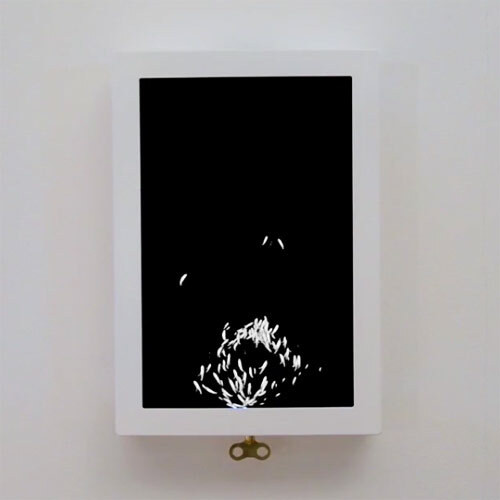 This entry was posted in Art Gallery of Hamilton, Art Shows, Cool Stuff, Hamilton Artist's Inc, Local News and tagged blue banana, Louise Dompierre, tim potocic on August 27, 2011 by admin.